The past weeks have been busy for PWB photographer Matilde Simas. Not only has she picked up an award at the Lucie Foundation for her series entitled 'Faces Behind Atrocity,' but the trailer for PWB TV Season 2, Episode 2 was released, featuring her journey to Kenya to document the work of a local organization called HAART (Raising Awareness Against Human Trafficking) Kenya. The problem of human trafficking is far bigger than most of us can imagine, having surpassed weapons as the second largest illegal trade after drug trafficking. And the problem is by no means limited to any one region or continent—it's happening everywhere, and doesn't necessarily require persons to be moved from country to country; often it is happening in our own backyards. We found time to talk to Mattie just before she heads out on another adventure to attend PWB School in Sumatra. Hey Matilde! Thank you for chatting with us about such important issues you have raised with your work. Please, tell us a bit about yourself. How would you describe your work? "I am a photographer with a natural love for people, culture, and travel. In recent years I would say that my work displays as fine art and documentary images. Recently, by shedding light on human trafficking, I find my work leaning toward art as activism. “Faces Behind Atrocity”, for example, is a portrait series that grabs your eye for the beauty of the woman portrayed - yet, when context is provided, an urge for social justice resonates in the viewers soul." 'Faces of Atrocity' - tell us a bit about the series and the project behind it. 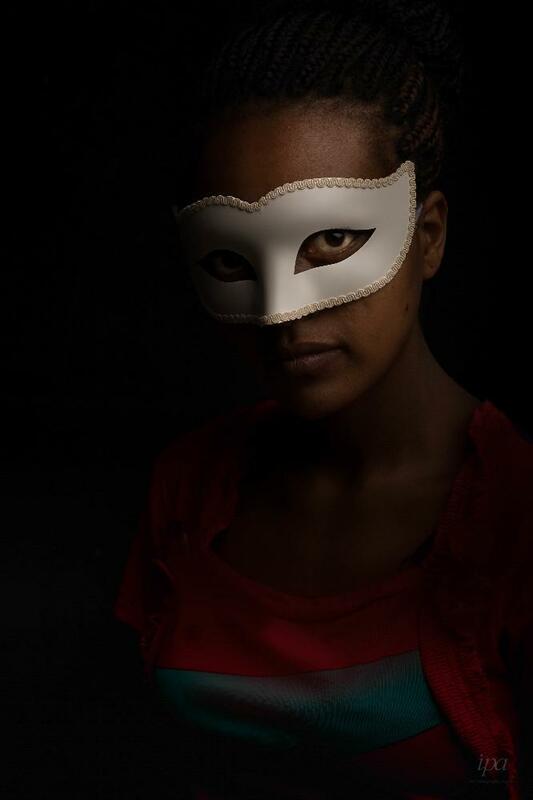 The exhibit “Faces Behind Atrocities” are portraits of six young women, ages 13-16, from 4 different nationalities who have been rescued from the horrors of the trafficking world and are in the healing process. Human trafficking is one of the most difficult subjects to document due to the atrocities these women have endured. Because of this; human trafficking is rarely documented using a combination of photography and testimonies. My goal was to empower the survivors by creating a safe, sensitive, trusting, collaborative environment. We began growing our relationships by communicating about everyone’s feelings about the project. They shared with me their ideas and the boundaries and I committed to respecting that. Our portrait session provided the survivors with the power to decide how they wanted to be photographed. We all agreed we wanted to create portraits to spread awareness about human trafficking and to aid in the movement for social change. In collaboration with the survivors, it was important to me to provide a forum for healing through art. What ethical questions came up for you during the process of bearing witness to survivor stories and taking their portraits? How did you overcome these challenges? 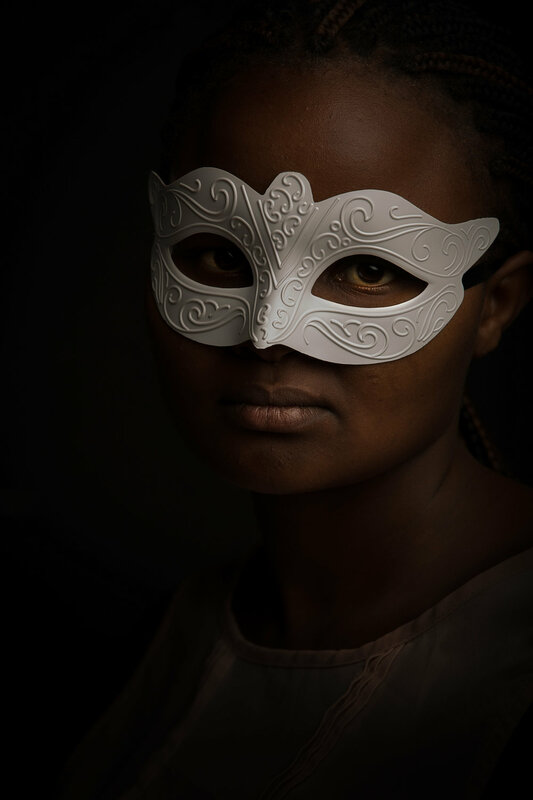 The biggest concern for this project was hiding the identities of the survivor's faces due to fear of their perpetrators finding them and the stigma that surrounds Human Trafficking. For the survivors, hiding their identities was important to them. The idea that a direct human connection can be made through the windows of someone’s soul was a concept that I felt was important to capture. The survivors and I agreed that their eyes needed to be revealed. The mask concept came from the survivors who participated in the activity. Each survivor was given the choice as to which mask represented them best. Can you share one story that caught most of your attention while photographing for HAART? Stories are told by many diverse perspectives stretching across gender, race, economical status, and many other identities and communities. As an artist, it is important to remember that we are there to capture the subject’s truth and we must use our skills to tell their story and help with movements for social change and individual empowerment. There is a special role for woman photographers in documenting human conditions and our ability to connect on a more emotional basis with others. Our sensitive approach to documenting human conditions is celebrated, and we tend to be allowed access to more sensitive issues. Working with an organization such as HAART Kenya I was given the honor of interviewing many of the survivors. During an initial interview with a survivor she shared that she is far more comfortable sharing her story with a female photographer. She mentioned that in previous interviews with male photographers she had difficulty digging deep to reveal her truth. After I finished her interview and photos she thanked me and stated “for the first time I feel undrained by this process, for the first time I’m owning my story and this is because of you." There is an undeniable special bond between women that cannot be broken. Nothing brings me greater joy then using my art and love to provide a safe forum for another woman to share her story. Which images “stay” with you the most? Why? All of the images in this series touches me in a special way. I have a deep connection to each of them. Tell us what you’ve learned as a result of this project? I have learned that another individual’s truth can be difficult to imagine on your own - you must have an emotional connection with the person in order to have the most effective collaboration. You’ve been able to really shine a light on the work of HAART Kenya and the issue of human trafficking with your work. Can you tell us about the awards and press you have received, and how it makes you feel? 1. The series was exhibited as part the UNODC - United Nations Office on Drugs and Crime and the International Organization for Migration (IOM) campaigns during "World Day against Trafficking in Persons." The exhibition included the stories of victims to familiarize people with the issue of trafficking and the fact that it is close to them. The series was exhibited in front of the Kenya National Archives in the city center. The hope is to create awareness with pictures which can help drive the message of a public campaign. 2. Exhibited in the Art to End Slavery Exhibition in Nairobi, Kenya. As part of the Arts to End Slavery (A2ES) which is an awareness raising art project that aims to bring attention to human trafficking in Kenya. Being part of Awareness Campaigns, the press, and help create more awareness on the issue and prevent people from falling prey to human trafficking. It also creates dialogue about trafficking and motivates people to join the movement by promoting and supporting organizations that work to fight human trafficking. Can photography and storytelling change the world? If so, why/how? Photography has the power to bait emotions, stretch an individual’s perspective, understanding, and compassion. For example, the images of the brave women who survived human trafficking will likely solicit an empathetic response from viewers – which we hope will lead to soldiers in the war against human trafficking. What is your message to the world with this project? Most people believe trafficking happens somewhere else. Awareness is key and simple. Everyone can take a minute and talk about trafficking in their own space. You can also join the movement by promoting and supporting organizations that work to fight human trafficking. If you or someone you know is a victim or survivor of human trafficking, you are not alone and there are resources available to you. To learn more about HAART Kenya, please click here.